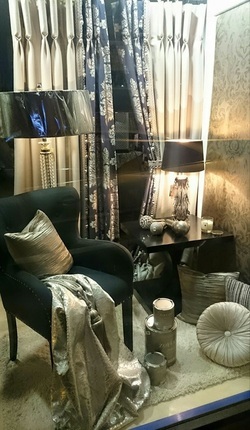 Established in 1986 and owned by Louise Graham, Beechgrove Interiors is an interior design and soft furnishing service based in Ballymena. Relish in our award winning designers' expertise as you are guided through the design process to achieve a look that is suited to your home, tastes and lifestyle. The beginning of the design process is an exciting time for both client and designer. Working on both domestic and commercial projects, the Beechgrove team are constantly inspired and customers are amazed by what can be created. A pre-consultation brief from you, the client, will ensure your designer chooses only the most appropriate sample books from our extensive library. We oversee all projects personally from design to implementation, precise care is taken over every detail to ensure a personalised style and dedicated service is provided to each client. Your initial consultation is an opportunity for us to present you with schemes and ideas to meet your interior requirements. Together with your vision and our guidance, you will find the beginnings of the perfect bespoke product, whether you require a selection of custom made cushions or you are completing a full house project.